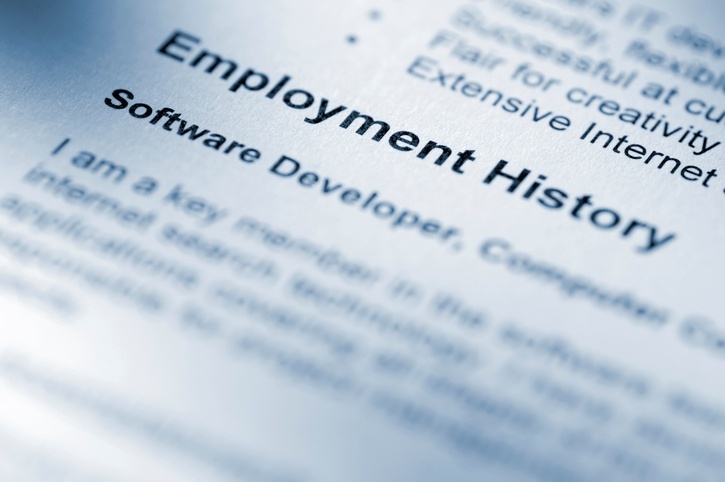 Did you know, on average only 10 seconds is spent reviewing a CV? This is exactly why you need to make sure your CV showcases your skills and expertise. It’s important to take the time to get it right and take your time to build a CV that clearly demonstrates who you are and what you have achieved. To give you a helping hand, we’ve created some useful guidelines to help you make it a winning read. You will need to separate your CV into sections, that way the prospective employer can read your CV with ease and view the areas and your skills that are most relevant to the job. Always start with this section, as a winning profile can be the decider, if the perspective employer will read on or not. Write your email address, any telephone numbers, and your address clearly. Many jobseekers forget this! It’s important to focus on further education, particularly diplomas, qualifications and degrees, unless you are a student, then you must list the level you are studying at. It’s important to list the qualifications that have been achieved. This shows the employer that you qualified in the area that they are looking to employ in. There needs to be a lot of relevant information in this section. You really must take your time and list your experience and achievements gained. This is less important and can be relayed in brief making sure to highlight achievements within that role. Be careful to explain any gaps – for example, if you took time out to go travelling or raise a family. Only show the most relevant training courses to showcase specific skills to the role you are applying for. This is not a section that you have to add but it’s nice to add a ‘personal’ touch to your CV. Don’t forget to tailor your CV to match the job you are applying for. If you keep it generic the chances are the prospective employer will think not much time or effort has been put into the application and that you are not being as passionate as you should be about the role. Keep your CV factual. Don’t write anything that you can’t back up – interviewers will ask you to explain your career achievements and highlights in more detail so be prepared to back up your statements. Nine out of ten CV’s have errors and often rejected as a result. Make sure you CV is error-free. It’s always a good idea to get someone to proof read it for you. Do look out for grammar mistakes too – it’s important to use the correct language. You do not need to place these onto your CV, although make sure you state the references are available on request. Leave any negative information off your CV, like why you left your last job. Any points or concerns the interviewer has to raise can be discussed within the interview.